The San Diego Zoo houses the Center for Reproduction of Endangered Species (CRES), which keeps frozen genetic samples of animals that could one day prevent the extinction of a species. The St. Augustine Alligator Farm Zoological Park is glad to work with Val Lance, a senior scientist at the center. 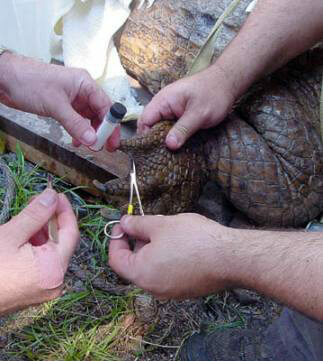 We have been able to provide Val with genetic samples from all 23 species of crocodilians. Something no other institution in the world is capable of. The genetic samples that we provide are used for many different things and could even one day be used to grow entire new animals. If it sounds a little bit like Jurassic Park, that’s because it is. The film makers went to CRES to film their 6,000 individual samples all kept in liquid nitrogen at –320 degrees.